James Blakemore, JMB Partnership MD, was delighted to be invited to speak at the prestigious Midlands Business Awards to share our experience, advice and the business value a Queens Award can bring. 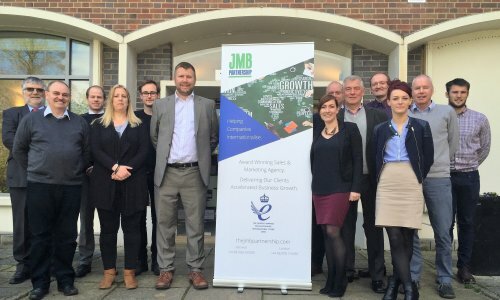 Celebrating JMB’s success as Queens Award Winner and appointment as Export Champion, along with other Midlands based business’, the event showcased some of the region’s most successful entrepreneurs, exporters and contributors to the Midlands business arena. Click here to see some of the evenings highlights and winners visit.